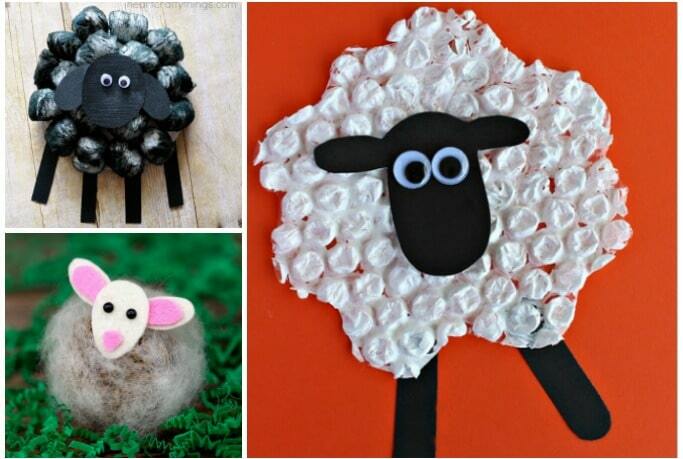 The daffodils and snowdrops are out and we’ve started to get some new lambs around here too so I figured it’s the perfect time to share some cute and easy sheep crafts for kids. They’re the perfect way to help kids celebrate the change in season or for kids that are learning about farm animals. Not going to lie, I am more than a little bit in love with this super sweet doily vase flower craft, it’s super cute right? (Although is it a vase or a bouquet? Either works for me!) 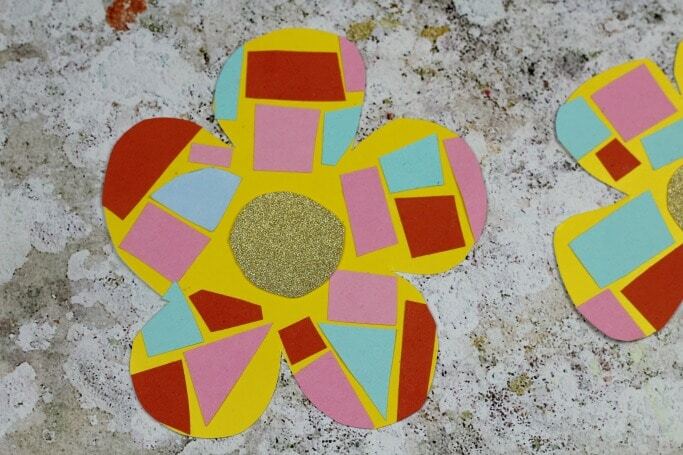 It includes doilys which are my new favourite super cheap material and it’s perfect for spring or Mothers Day. And it’s pretty – did I mention that? 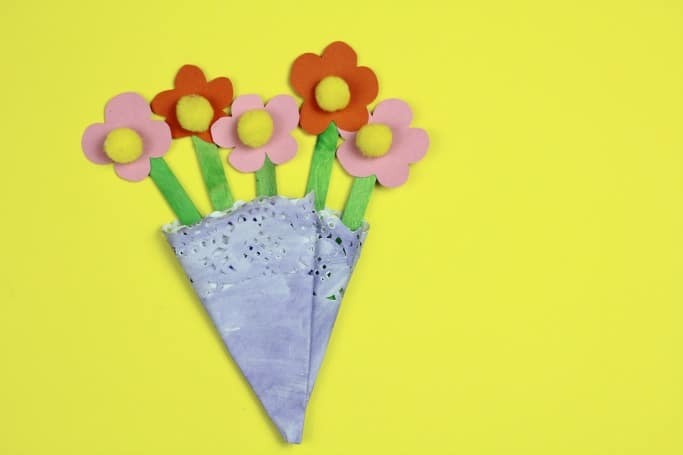 Ok, let’s get on with how to make this easy flower craft. Isn’t this doily chick just way too cute?! 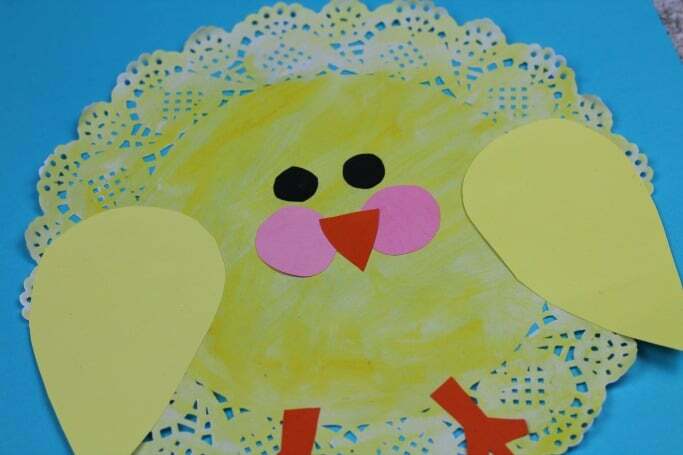 I’ve called this an Easter chick craft for kids but in all fairness it works perfectly well as a spring craft too – anything farm related is good at this time of the year! 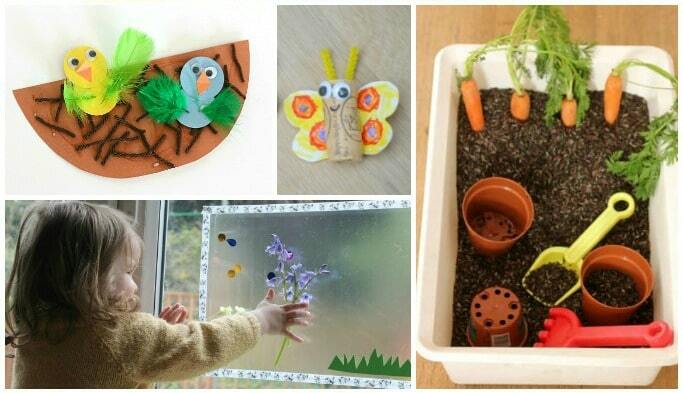 What’s more it’s easy enough for even young kids to make and costs only a few pennies in craft supplies. I’m a great believer that you can never have too many pretty things and this easy mosaic flower craft is the perfect way to brighten up the place! Although it looks easy (and it is, hurray!) there’s actually loads of opportunities for learning with this craft too. Ok so admittedly as I write this it’s cold and raining outside but as far as I’m concerned that means it’s the perfect time to share these Spring activities for toddlers, firstly because I know that lots of you are planning your activities to get started on soon but also because these activities are so bright and cheerful and we all need more cheerful stuff in our lives! We’ve shared hundreds of activities for toddlers for inspiration throughout the year so make sure you check them all out too.